Happy Halloween! 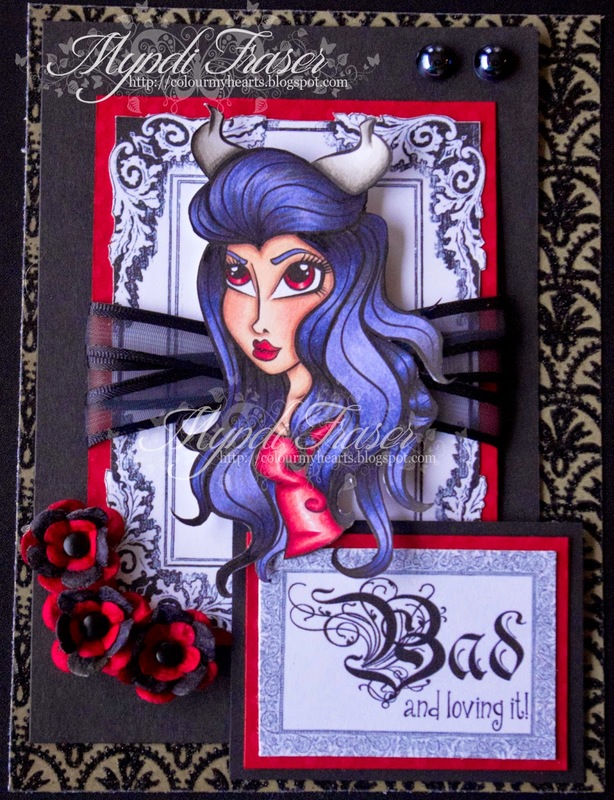 Today I have a card with the digital stamp "Demonic Babe" by Simply B Stamps. She was a free image given to members of the Simply B Stamps fan page on Facebook. You should go check out the fan page and the shop for lots of great images to colour! The challenge for this image was to make her either a Good demon or a Bad demon. I coloured her up both ways, but have only had time to put the Bad one on a card, as I have had sick children this week and now I am coming down with something too. I used the Copic R30's to colour her shirt, and C9, C7, and BV29 & 25 for her hair. I'll be posting a new TSC DT make next week, so make sure you come back for that! Happy Wednesday! 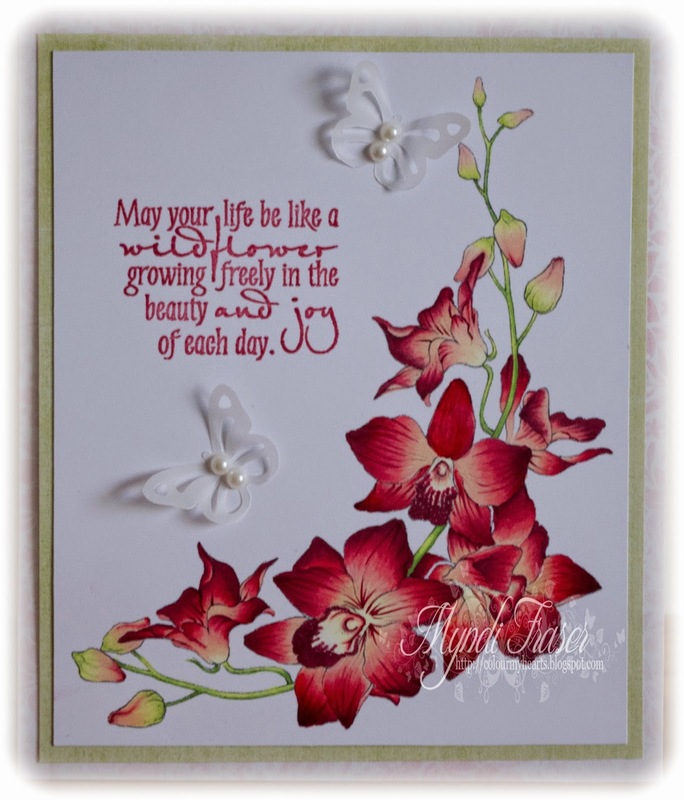 Wednesday means it's a new challenge week over at The Stamping Chef! 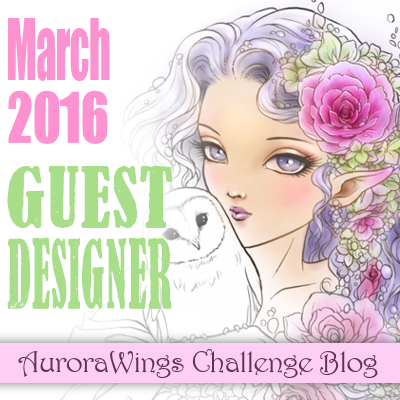 Go take a peek at the DT's makes this week and enter your own creation. The theme this week, as always, is Anything Goes! Speaking of DT makes, this is my first DT project for TSC and I am so excited to share it with you all! I used "Good Morning Meredith" and let me tell you, I could use a coffee like this today. I think I have finally caught the bug that has been pestering my little ones the last couple of weeks. 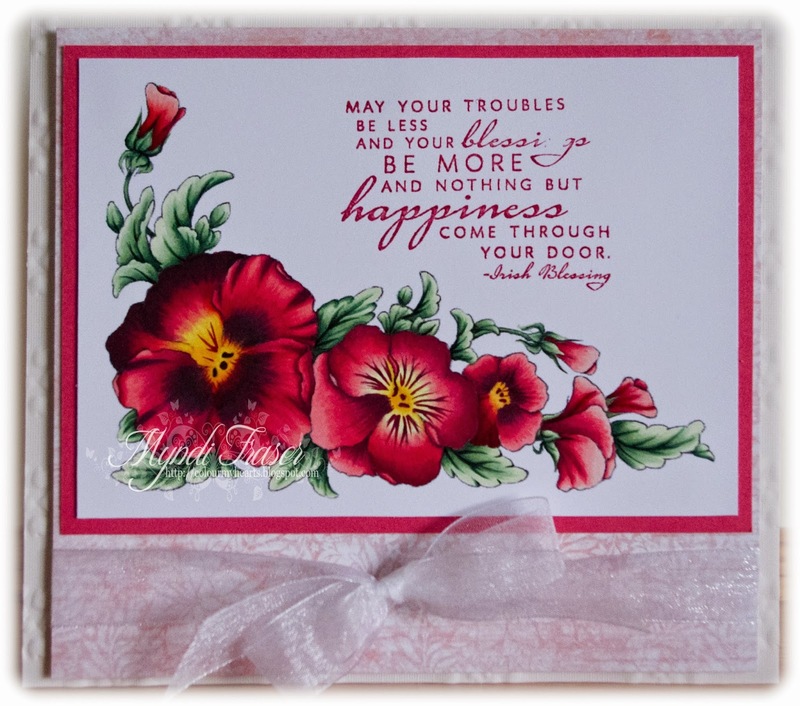 The sentiment stamp is by Riley and Company. I stamped the sentiment with Tsukineko Rich Cocoa dye ink. Then I blotted a paper towel on the ink pad and went around the edges of my image and over the sentiment with the inked paper towel. I created a frame for "Meredith" with my Cricut Expression and dug out some paper flowers and brads from my magic box of crafting supplies to embellish just a little. I hope you like it! Make sure you check out The Stamping Chef Facebook Fan Page as well. There's a lot of talent over there! Thanks for visiting and please leave a comment below! I love to read your messages! A freebie at the Simply B Stamps Facebook Fan page inspired some Halloween creativity this weekend. I like Halloween, but I don't usually make cards or other projects for it, so this was out of my comfort zone for sure! The free stamp was Bat Queen Betty and she was only available to members of the SBS fan page, so if you're not a fan, go become one, otherwise, you may miss out on some goodies in the future. I used Michele R digital papers (treasure trove of beautiful things for your crafty pursuits), my Cricut Expression for the spider web corners and bats, and of course Bat Queen Betty from Simply B Stamps. I coloured her with Copics: W0-9, R08,YR04,YR07,Y38,Y17,Y15,Y11. Thanks for stopping by! Please leave a comment below! I love to hear what you have to say! I decided to put my hat in the ring for the guest design team spot over at Saturated Canary. 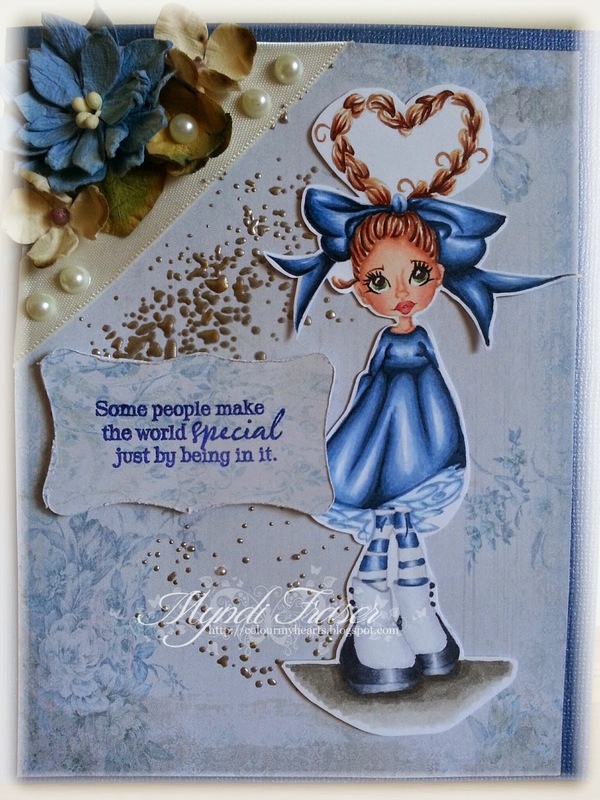 There are so many wonderful entries over there and I wasn't going to enter, but I used the challenge theme, which was to use "Kit" in a project, to make a birthday card, so I thought I might as well enter it into the challenge. I really enjoyed colouring her up. Her dress was a real challenge for me. This was my second go. I ended up scrapping my first attempt. Things were not coming together for me at all, but the second time was the charm. Thank you so much for stopping by and taking a look! Please feel free to leave a comment below. Hello again! Today's post is about flowers! 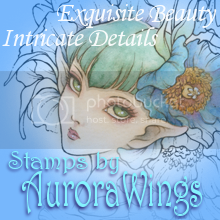 I've recently made three cards using flower images from Aurora Wings. I have posted them on Facebook and received such wonderful compliments on them, that I thought I better write a post about them! 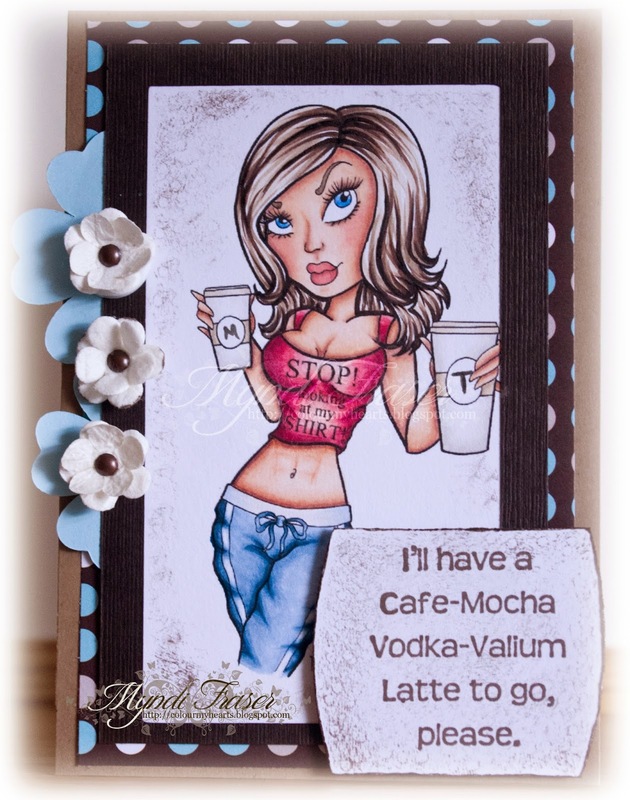 The sentiments on all the cards are from Verve Stamps. They have really beautiful clear polymer stamps. Definitely check them out! The first one, I made specifically for my mom's birthday. It's simple and elegant, and doesn't require a lot of embellishment. 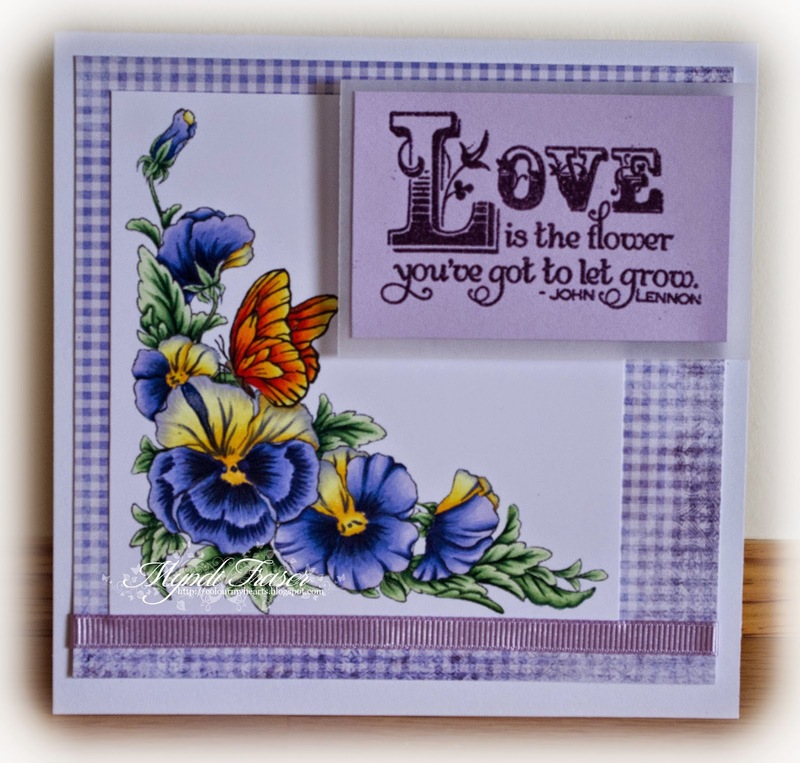 The flowers are the star of the show on all of these cards! Copics used for this one are pretty much the same. However, I did not use any yellow EXCEPT for Y000. I used to blend in with the R30 to create a yellow/coral color, or I blended it with the YG000 in the stems and buds to create a gradient, that I hope is realistic. I used the Martha Stewart butterfly punch for the butterflies. I hope you like them! Thanks for stopping by! This is my first blog post talking about a card I made! But first, an amazing thing happened to me recently: I was asked to be on the Design Team for The Stamping Chef! Say what?! That's what was running through my head when I saw the message from Miss Tamara van Wijk. I have only been colouring about a year and a half now, and I idolize Alyce Keegan over at Kit & Clowder. She does such beautiful colouring. I took her Skin & Hair class, and am just starting the Clothing class, so to get a request from TSC to be on their DT was overwhelming as I feel like I'm still a beginner at this. I'm a very lucky girl!! 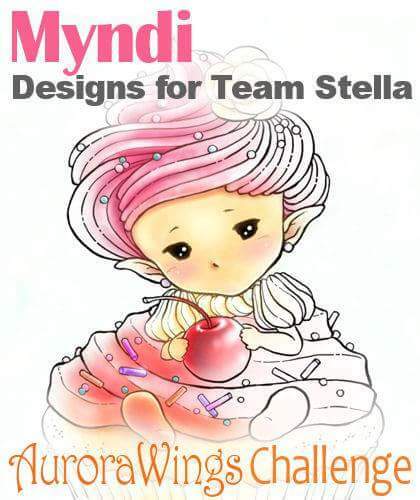 If you have any inclination to give colouring a go, then start with a class over at Kit & Clowder, and then get some Stamping Chef images to practice on! They're one of a kind and I LOVE them! I made this card for my niece's birthday in November. 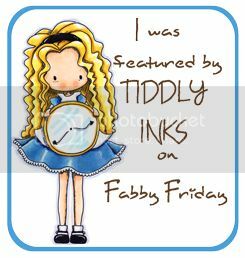 Tiddly Inks is one of my favourite stamp companies. Their images are so lovely! This is Sunny Day Wryn. I thought the colours were perfect for fall, and she definitely looks "sunny". I used Copic markers, and cut the "dream" with my Cricut Expression using the Storybook cartridge. The flower is by Petal Loo; the paper is just random paper I've accumulated over time, and I couldn't tell you the brand. Sorry!